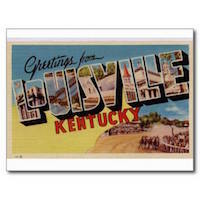 Louisville Restaurants Forum • View topic - Provence and...Iceland! Our annual trip abroad was cancelled last year when we bought a new (very old) house last summer. This is my 5th trip to my beloved France, finally getting toProvence first week of June. We are staying in Vaison-la-Romaine first four days, Moustiers Ste Marie next four, two days in Cannes at Intercontinental ( love those IHG points!) we are flying back through Iceland for 3 days. I am searching for any culinary pearls; we are driving and will cover a lot of the area! You'll find plenty of higher-end recommendations online, but give Bistro Gourmand a try for a slightly-more-casual and relaxed dinner (Cannes). Thank you! I was hoping to find those small and special places. I've had incredible food all over France, but dismal experiences in Paris. Don't want that in Cannes! well, we are back from 10 days in Provence and 4 days in Iceland, flew home on my 60th birthday and the SWA stewards from Boston-BWI-SDF got me trashed with free drinks! Culinary highlights, and boy did we have them! Crestet- Mas D'Helene - quiet Inn, delicious dinner by owner. Seguret- gorgeous village, Cote Terrasse ...fabulous! My salad had greens, a toast with caviar, a shot of gazpacho, melon slices, truly death by salad. Huge terrace overlooking fields of lavender and vineyards. Murs- sleepy one horse village, stayed one night on a whim. Hotel Le Crillon nice, food, 5 star. Best G. Marnier Soufflé I've ever tasted. Presentation supers. It was packed on Thursday night, it must draw from other villages. Moustiers-Ste-Marie- magical place. We stayed at a small inn, Le Bastide du Paradou, where innkeeper Jean made wonderful fresh fruit juices, croissants ,goat cheese ,scrambled eggs. We ate in the private garden beside a brook under trees bursting with red cherries, figs, apples and prunes. We had one so-so meal at La Bouscatiere. The place was charming, though. Riez- Le Rempart. Art gallery and shop inside, pretty terrace out with flowers everywhere . Enjoyed huge platters of mixed seafood, melons, fresh veggies...this was make you cry good! Cannes- we just took a little walk and found the unassuming little place, Le Comptoir des Vins on a back street. Great meal, I had seafood quenelles- a dish I haven't seen since France in 1972! Yum. Rick had a lamb shank in red wine sauce, he was oohing and aahing. Great wine list as well. Cap D'Antibes- plage Kellar- Le César. Two level, lower level right on beach but enclosed in a mesh/ plastic that makes you feel outside, but protects you from the fierce wind. We had buffalo mozzarella and tomatoes with balsamic..ahhh. The service was amazing, a staff that shared duties with smiles. Diners looked like movie stars or at least well heeled. Glad I dressed up. I had a salad of langoustines the size of my hand. Bliss. Rick had a glazed salmon which was delicious. Wish I could eat there again, menu was great. A dessert tray appeared and I had a lemon meringue trifle, Rick chose a fudge brownie with raspberries. They brought us a shot of Limoncello with a creamy topping- someone told me it was a "drain cleaner" in Italian,lol. This is on top ten lunch list. Too full for dinner, we had a decent spaghetti at Novotel in Marseille before flying to Reykjavik in the am. Icelandair flies to several places in Europe with a connection in Iceland. We enjoyed it. Airport had wonderful food, loads of quality shopping, very nice. You can stay for up to 7 days with no additional flight costs. Four days was plenty. Coming from the fragrant and verdant Provence, Iceland's volcanic surface was stark and uninviting, however interesting. It took hours to see the sights on good roads. We also spent a couple hours at the Blue Lagoon, which was a hoot! We stayed in the burbs at Hotel Kriunes, a family run Inn, quiet and nice. Good breakfast. Seafood is incredible, but they also eat whale, horse meat, etc. Verbud11- on the harbor as well, a real gem. Rick had a slab of fresh Icelandic cod that made him cry. Best EVER! I had the langoustine dish which was perfect. Much better than lobster. We had a mango cream mousse for dessert. Leave early and spend time in airport. They drink like fish, but only sell booze in gov't stress which close early and on Sunday's. Pick up some tax and duty free at airport before going to hotel! Iceland is the most expensive country I've visited. Their currency is crazy, 132.22 krona to the dollar. Jeez! TP Lowe wrote: excellent report! Thank you! Search for Linda Sparrow and scroll through. Found you there - very fun. Icelandic pizza? Really? Fun! TP Lowe wrote: Found you there - very fun. Icelandic pizza? Really? Fun! Pizza is world food. One of the best pizzae I ever had was in Croatia. It's not that far from Italy, though. My best pizza was in Lugano, Switzerland. We had this discussion- pizza is everywhere. Europeans love it and most always make it from scratch. Sometimes they use a bit of local cheese on it.